An attractive plaster color (other than white) is often preferred by pool owners. But they need to know that plaster companies have a very difficult task in producing a uniform and consistent color that pleases all pool owners. The reality is that it is impossible to produce a uniform and consistent color like paint or fiberglass can achieve. There will always be some minor shading (mottling) and variation. One of the primary reasons for that is that pool plaster is a hand-finishing product, which is non-uniform across the surface. It is plastered by multiple finishers and subjected to a variable environment during curing. Most pools are also plastered using multiple batches of material which will never match precisely. Fortunately, quality-oriented plaster applicator companies know how to produce a relatively good-looking color finish that will satisfy most pool owners. Along with other good practices, such as tenting pools to control temperature and humidity, they use colorfast pigments, a low and consistent water/cement ratio in all batches of material, they do not add any calcium chloride and do not add water to the surface during the troweling process. Lastly, they achieve a smooth finish with a properly-timed final troweling before the plaster becomes too hard. 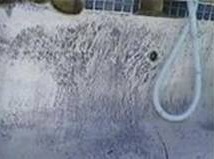 When a pool is plastered too fast, through the adding of calcium chloride set accelerant, the plaster can display severe and irregular mottling, color fading, or white streaking and spotting. And if other quality workmanship practices, such as proper troweling, trowel pass timing, water/cement ratio, refraining from wet troweling, etc. are not followed, similar effects may plague the surface aesthetics. And those very ugly discoloration problems generally take a few weeks or months to worsen and become increasingly visible. What does NOT cause the above issues is aggressive water. If it did, then colored cement driveways and walls (on buildings) would have similar results when rained upon (which is aggressive water). Yet, they do not because they are usually constructed properly. On other hand, overly positive LSI pool water can cause calcium scaling and can mask the colored plaster with a whitish deposit. When that happens, an acid (aggressive water) treatment is often tried to remove the white scale and darken the plaster color. Also, many quartz and pebble companies recommend maintaining the pool water slightly (LSI) aggressive to prevent the general whitening process from occurring altogether. How can aggressive water be the cause when it removes the “white discoloration” and darkens the color every time it is tried? The acid treatment that is often recommended (by plaster consultants) consists of adding about 10+ gallons of acid to a 20,000-gallon pool. That is a very detrimental and overly extreme procedure and does not properly rectify the abnormal and malformed discoloration problems caused by improper plastering practices. In fact, that type of acid treatment will cause the plaster surface to become severely etched, rough, and aged. The plaster finish will likely discolor again soon, including with dirt and mineral staining, due to the roughness of the plaster/cement surface. That acid treatment is done to get the plasterer off the hook, and the pool owner is left with rough plaster that will scratch the skin of swimmers, and a soon-to-be ugly plaster finish again. Obviously, service techs (or DIY pool owners) should not be blamed for what is caused by improper plastering practices, including the harm done by an acid treatment and results in the plaster becoming discolored again afterwards. 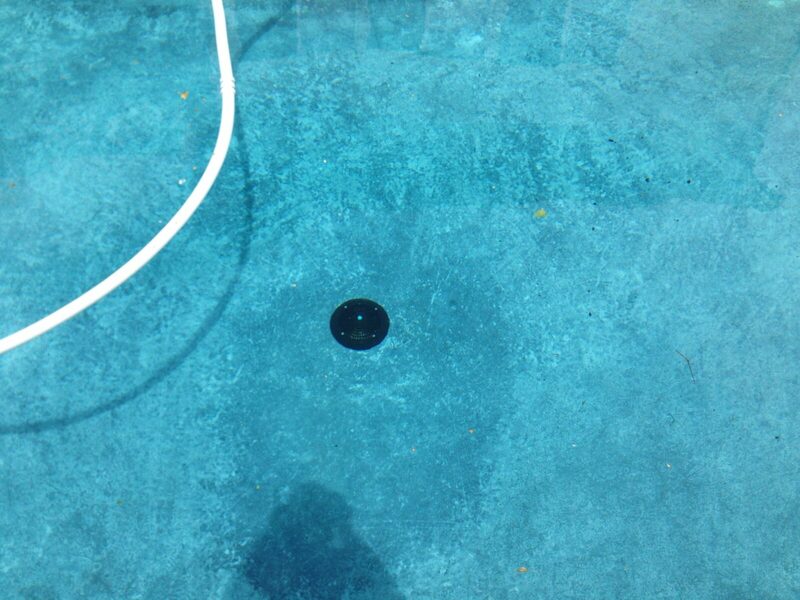 We are not aware of any petrographic studies that provides evidence that LSI aggressive pool water causes random and irregular white soft spots, splotches, or streaking in colored (or white) plaster pools.